The glaciers that carved out the Great Lakes many, many moons ago also cleft the Midwest United States into two drainage basins; one that feeds the Great Lakes and another that feeds the Mississippi River. French explorers discovered a portage between the two water systems that spanned a width of only 2 ½ miles in 1673, whereby the Atlantic Ocean, through the Great Lakes and into the Chicago River, could be linked to the Gulf of Mexico, through the Des Plaines and Illinois Rivers into the mighty Mississippi. The Native American tribe, the Illinois, from whence the state got its name, called this place home up until the time that the Miami Indians, from what is now Michigan, drove them out in the 1660s; the Pottawattamie, who came here from Canada, around 1800, in turn replaced the Miami. France claimed the area in 1671, but then gave the land to England in 1763. 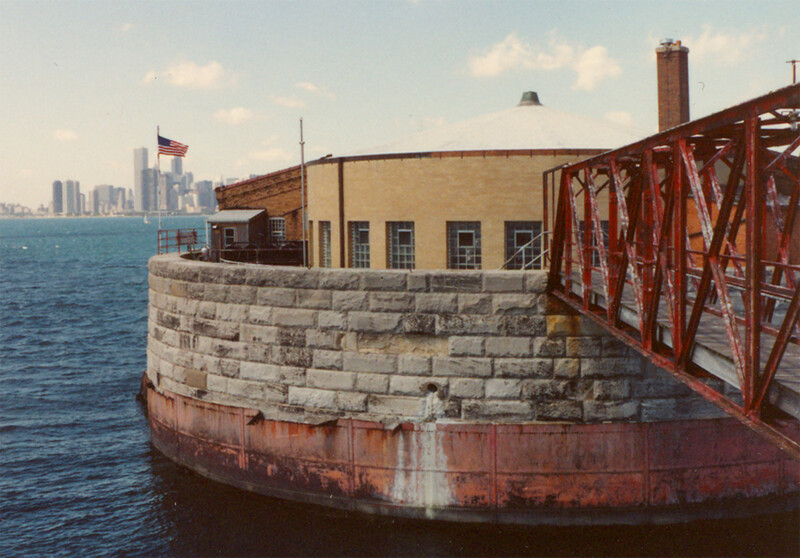 In 1803, Fort Dearborn was built on the site by the United States government. 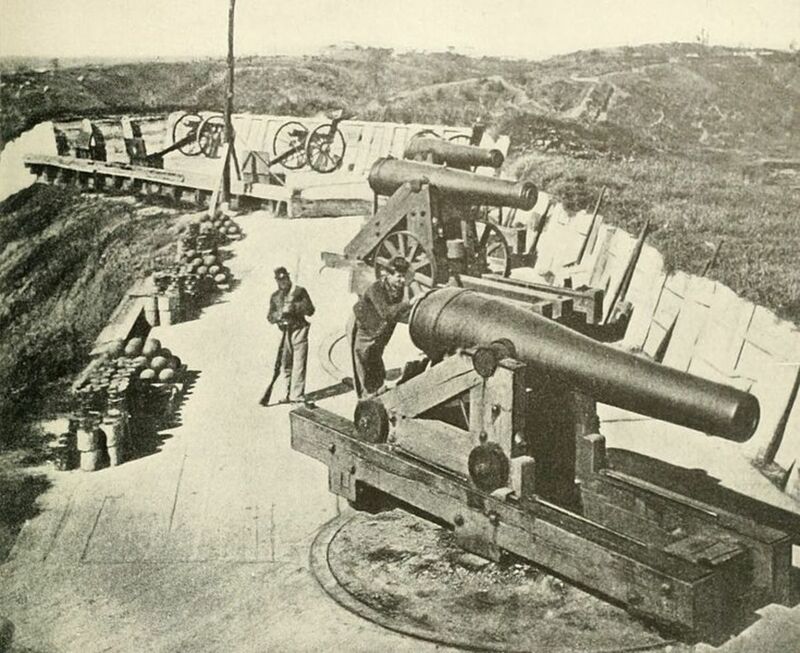 The fort was evacuated during the War of 1812, in which the United States fought against the British. Pottawatomie Indians were responsible for the ambush of the evacuees---killing 86 men, women and children---in what became known as the Fort Dearborn Massacre. 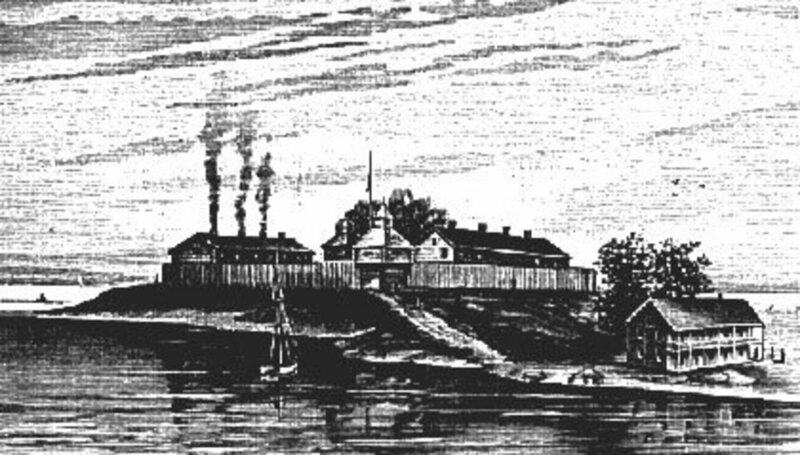 The fort was burnt to the ground, but was later rebuilt in the year 1816. In 1830, Chicago featured a grand total of six log cabins, which sat near Fort Dearborn. 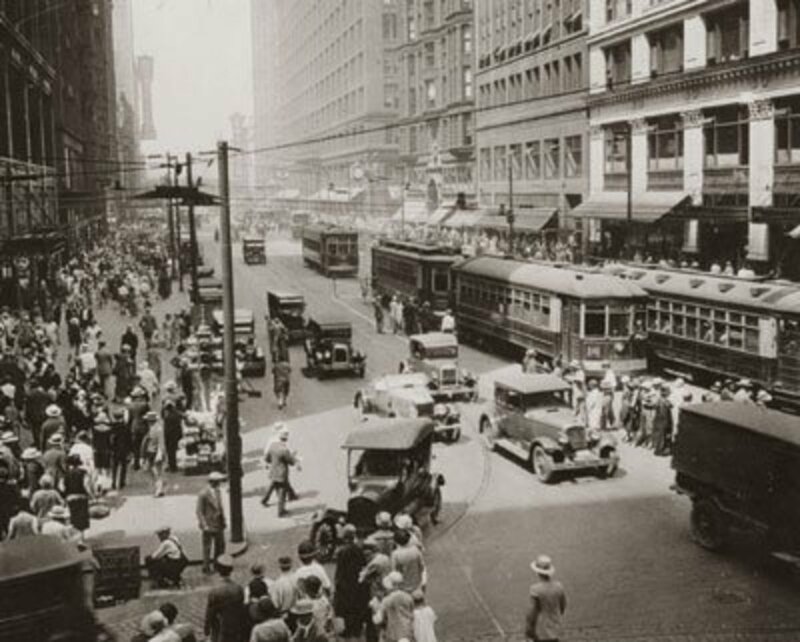 Surprisingly, only sixty years later, Chicago would become the second largest city in America---growing faster than any city in the history of the world. Chicago was incorporated as a city in 1837 with a population of 4,000; it boasted 398 dwellings, 5 churches, and 10 taverns. The number of residents grew to 30,000 by 1850; 300,000 by 1870; 1,000,000 by 1890; 1,700,000 by 1900; and 3,400,000 by 1930. Chicago was the 6th largest city in the world in 1900. The population at that time was 12% Irish and 10% German. In 1848, the Illinois & Michigan Canal opened, which realized the dream of linking the Great Lakes with the Mississippi River for commercial shipping. 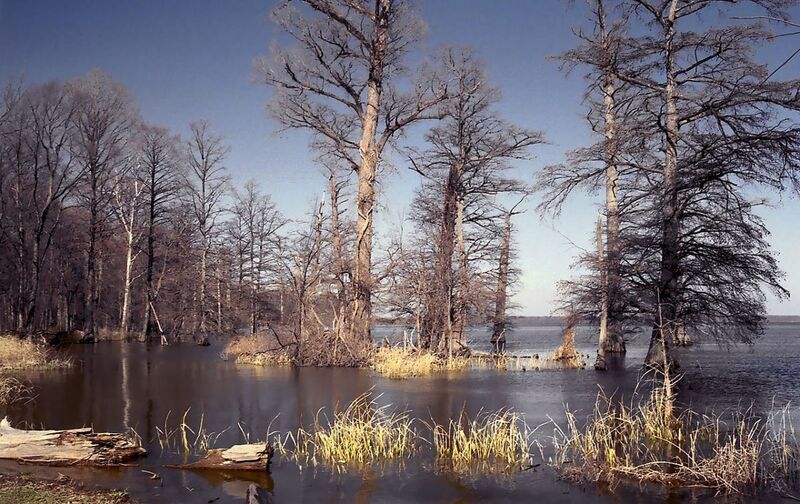 Immediately, staples such as sugar, cotton, and food were being transported into the city on barges from the south, while lumber, clothes, and machinery were making the return voyage. It was shortly thereafter that a New York newspaperman declared Chicago the “Windy City”---not because it is the 12th windiest city in America--- but because of all the “hot air” he was hearing from Chicago’s city leaders (“windbags” he said) about the bright future of the place. By 1850, a massive influx of Europeans, consisting mostly of Irish, and also a large contingent of Germans, meant that ½ of all Chicagoans were immigrants. From 1842-1858 the city built it first waterworks, sewage system, gaslights, and formed its first fire and police departments. In 1850 many Chicago residents lived in wooden shacks. Cholera, dysentery and tuberculosis were commonplace. 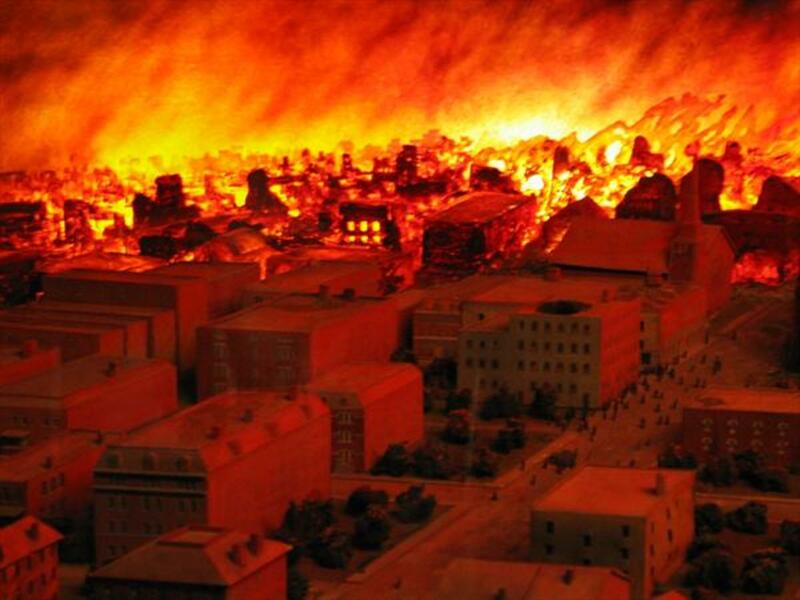 The Great Chicago Fire of 1871 burned for three days, and destroyed a third of the city (20,000 buildings). 300 people were killed, and the 100,000 people who were left homeless faced a freezing winter without shelter or food. There were no government programs in those days, but not to worry. The concerned citizens of Chicago took care of everybody, even finding a way to provide 55,000 with free medical care through private charity. Chicago would rebuild better than before. The city made out of wood was replaced with a city of glass and concrete buildings, and brick dwellings. Chicago was rebuilt with alleys made for fire engines; the alleys being far easier to maneuver than the crowded city streets. Peddlers, who would come to sell fruits and vegetables from outlying farms, as well as sundry household goods, soon used these alleys as well. 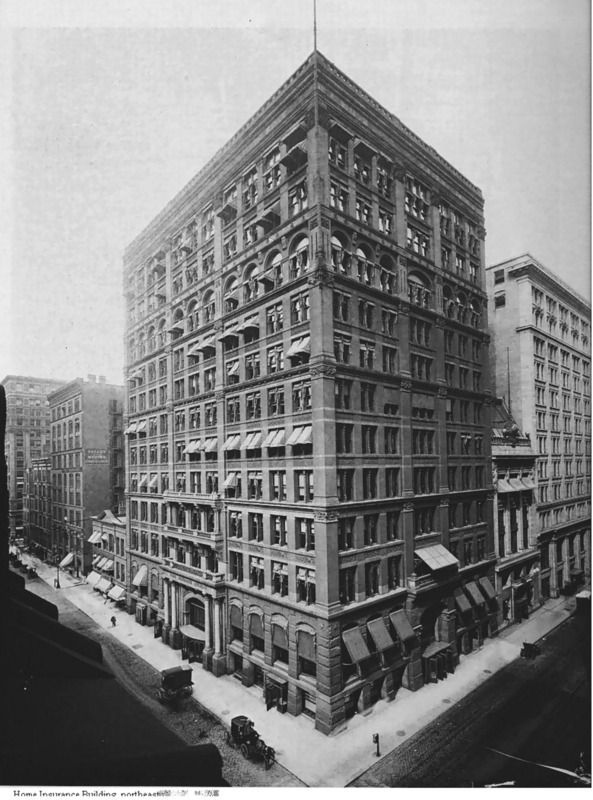 The world’s first skyscraper was built in Chicago in 1884. At the time, most residents had no running water and half of all children born died by five years of age. There was much unrest with labor unions from 1877-1886 (and again in 1937). In 1885, the entire city of Chicago was raised twelve feet, up out of the mud, by using jacks. In the late 1880s tunnels were built under downtown Chicago that were used for little electric trains, which carried necessary coal and goods into the downtown area, and then carried the city’s rubbish and cinders back out. These trains continued to operate until the 1950s when the use of coal became somewhat obsolete. 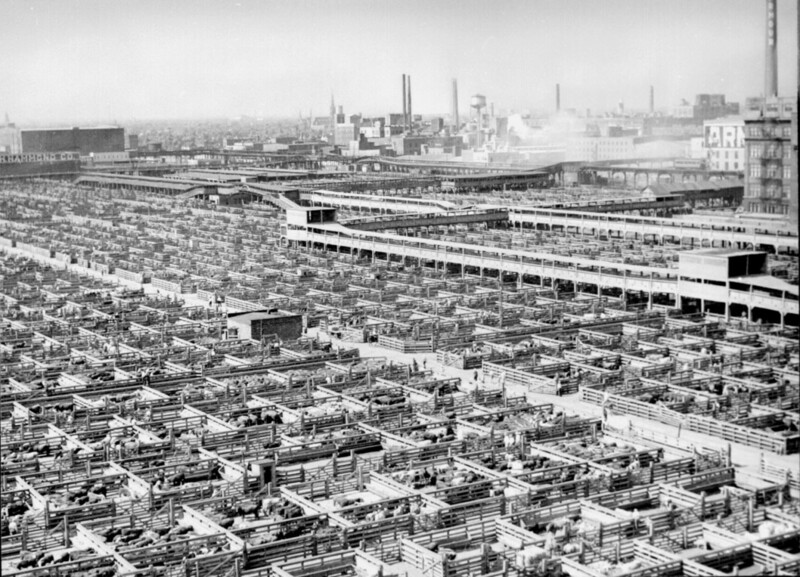 Chicago’s stockyards processed more meat than anyplace in the world up until its business peaked in the 1920s; at that time 40,000 people were employed there in different capacities. This peak in business led to the rise of the first international corporations, including both the Armour and Swift meat companies. Numerous factories then sprang up around the stockyards that produced many different items such as buttons, gelatin, glue, fertilizer, soap, and leather goods. 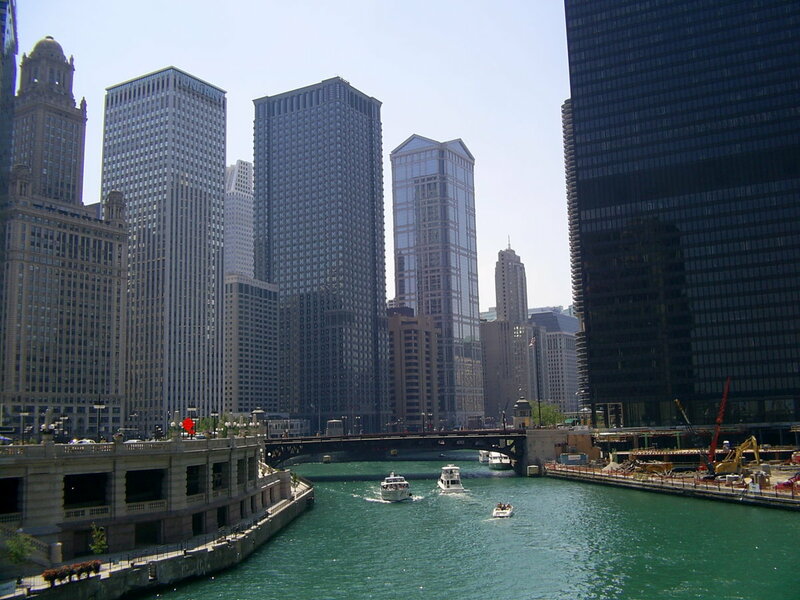 The Chicago River was used as a sewer for decades. In 1891, waterborne disease ran rampant, and 10,000 people perished of Typhoid Fever in that year alone. 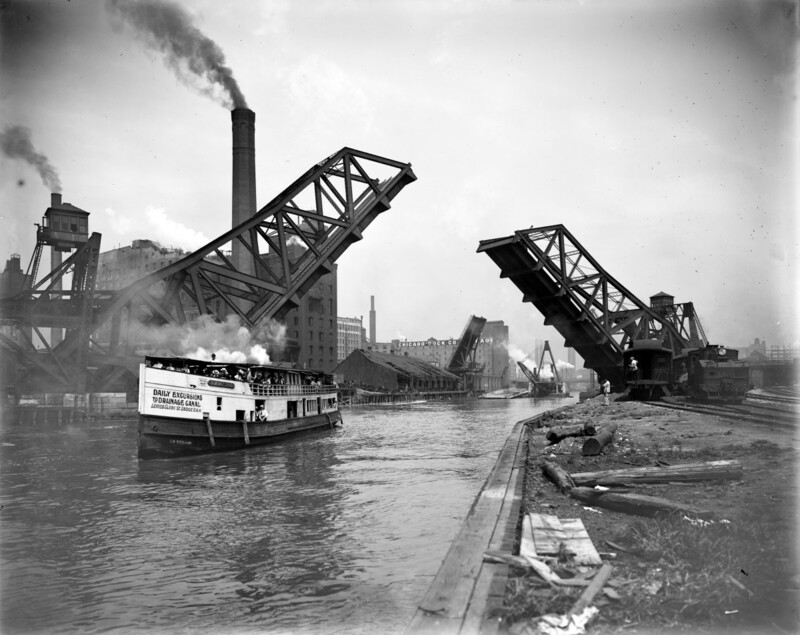 The problem was corrected by reversing the Chicago River’s flow in 1900; this was done to keep contaminants out of Lake Michigan, whence fresh water was drawn. This was accomplished through the construction of the Sanitation and Ship Canal. 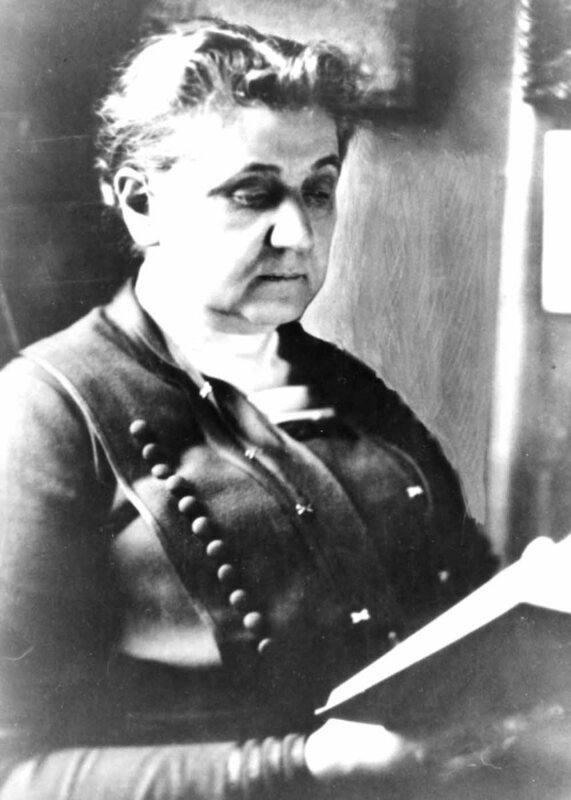 Jane Addams (1860-1935) started Hull House in 1889 to solve the social problems caused by conditions in an industrial city. Hull House is a settlement house---a community center that provides information and other assistance to (primarily) immigrants in a poor part of town. Addams and her staff would help people find employment; provide day care and after school programs for children; and also provide other services. Addams efforts were replicated in 500 American cities, and she was awarded the Nobel Peace Prize in 1931. In 1892, one of the most famous landmarks of Chicago opened; it was called the “L” train network. Unlike a subway, this system is elevated above the street. The “L” was the first electric rapid transit system. Where it makes a circle downtown is known as “The Loop,” though that nickname for the heart of Chicago predates the system. 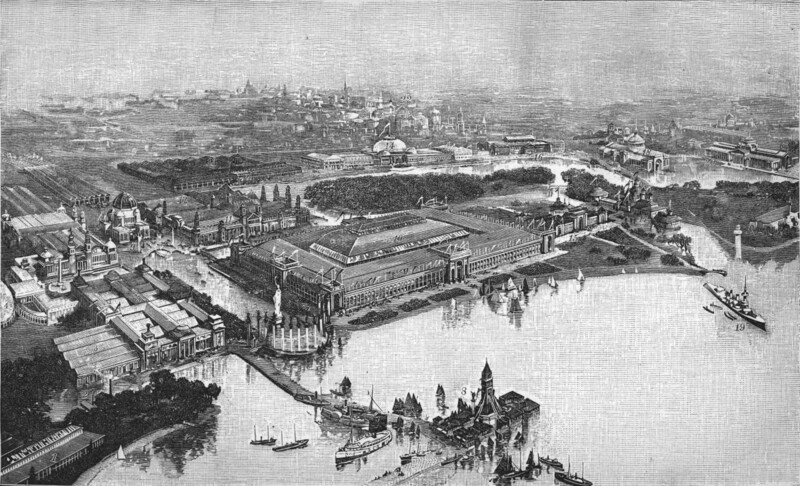 The Chicago World’s Fair of 1893 (World’s Columbian Exposition) was the greatest such event ever produced. 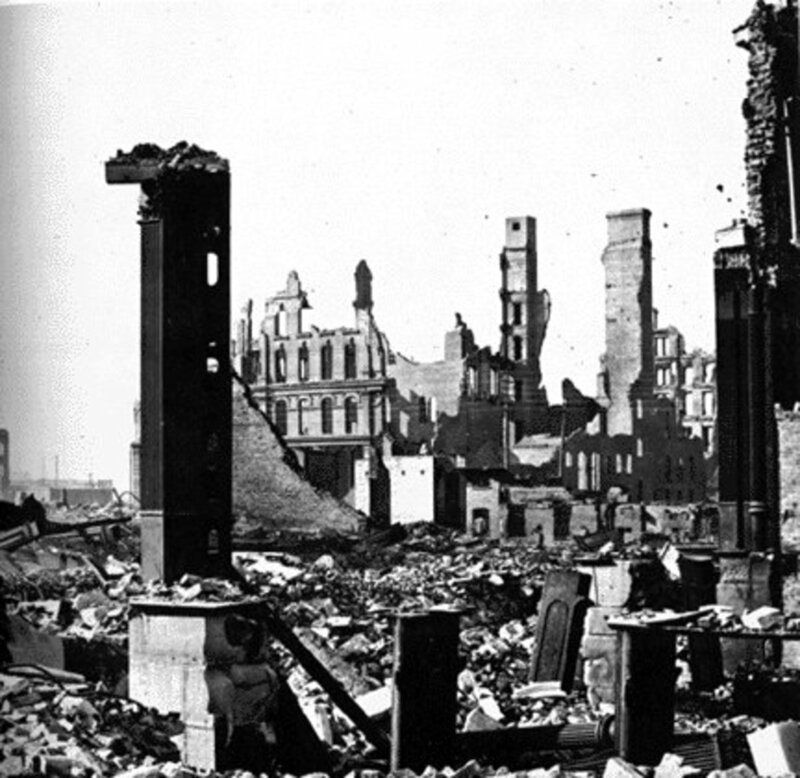 The grandeur of it proved that Chicago had fully recovered from the Great Fire that had occurred 22 years earlier. Electricity was demonstrated to the public for the time at this Exposition. Ragtime music was publicly performed for the first time ever. The Fair also featured the first Ferris Wheel. Hamburgers were introduced to America; along with the other food products that made their debut, such as Quaker Oats, Cracker Jack, and shredded wheat. 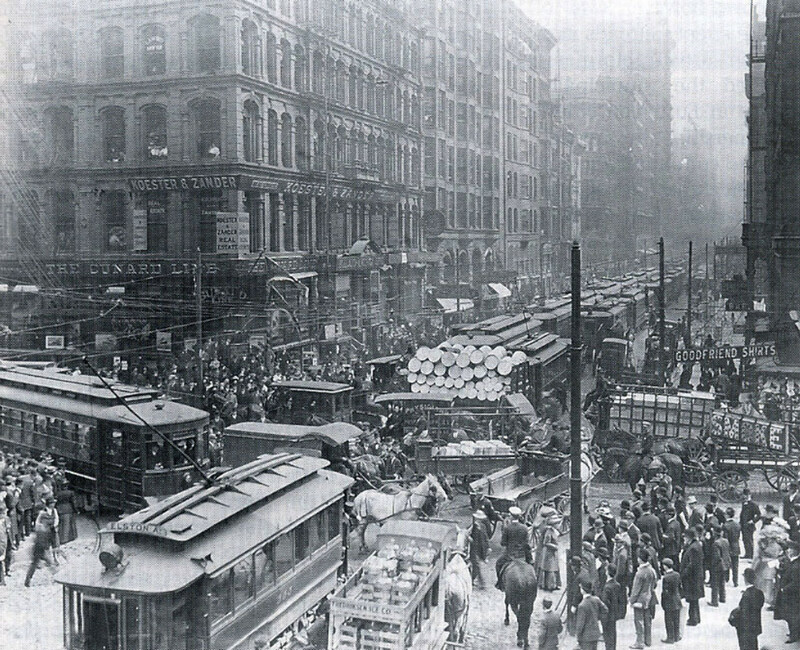 In the early 20th Century, Italian immigrants began to pour into the city of Chicago. By 1920, there were 350,000 Poles living in Chicago (more than any in any city in the world outside Warsaw), along with 190,000 people of Scandinavian descent, and another 70,000 of Hungarian descent. The city also had the 3rd highest Greek population, and the 4th largest Croatian population of any city in the world. Countless Americans from rural areas moved to the big city as agriculture became more mechanized. The black population doubled during World War One, as southern blacks escaping bad cotton harvests came north seeking the “promised land” during the Great Migration. Race riots broke out in 1919 as the newly arrived blacks clashed with immigrant groups. 120,000 more blacks came to Chicago during the 1920s, seeking work at the steel mills and railroads. Great black communities existed with beautiful boulevards and fine churches. These communities had their own elected officials, policemen, firemen, lawyers, doctors, and teachers. There were 234,000 blacks living in Chicago by 1930, and 492,000 by 1950, with the steady influx from the southern United States. By 1970, 23.5 percent of black Chicagoans owned their own homes. By that same year, the city also counted some 80,000 Mexicans and 80,000 Puerto Ricans as living in the city as well. Prohibition and the resultant Chicago gangland wars dominated the news in the 1920s. 1,000 gangs ran the liquor business in Chicago including that of Al Capone. 100,000 Chicago Bungalows were built in the 1920’s alone. At one point, nearly a third of the houses in the Chicago area were bungalows. These provide a unique architectural visage in the city. Enrico Fermi conducted the first nuclear reaction at the University of Chicago in 1942. Chicago was the arsenal of the Free World for both World Wars. 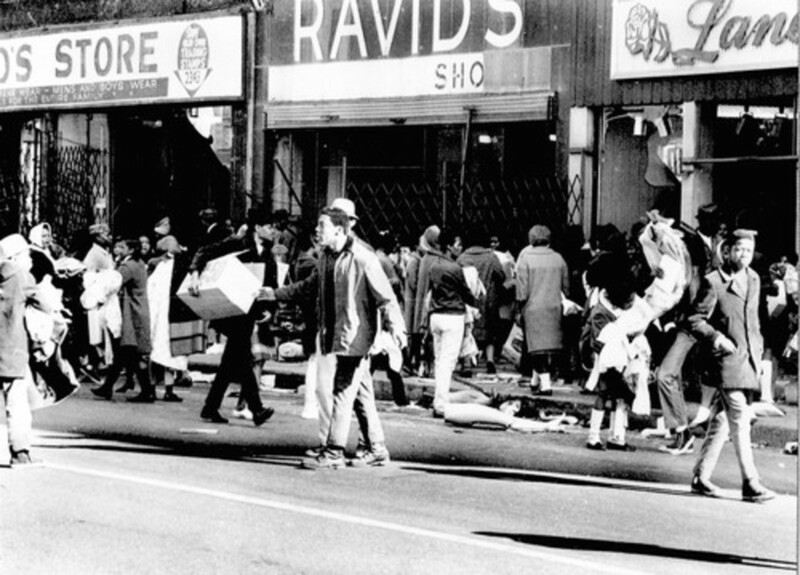 After the race riots of the 1960s---strangely enough soon after the passage of the most sweeping civil rights legislation for blacks in the nation’s history---many whites fled to the suburbs out of concern for the safety of their families. The other big event of the 1960s was the Democratic National Convention of 1968. 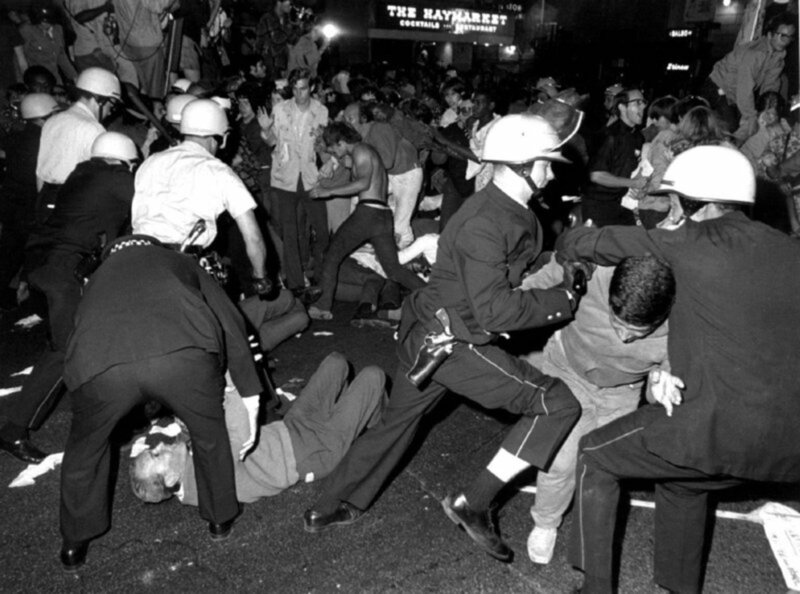 Although, I myself was a hippie, I did not disagree with the actions of Mayor Daley when his police started clubbing rioters protesting the Viet Nam War. It was an illegal protest, and the protestors were amply warned that their asses would be kicked if they left Grant Park, which they did. True radicals led the protestors. The police were pelted with chunks of concrete, bags of urine (pre-prepared), rocks, and food. The American Flag was desecrated. When it was over, 135,000 people sent letters to Mayor Daley in support of the police action versus what was only 5,000 letters received against them. The public overwhelmingly made it clear that they supported law and order over against anarchy. Today, Chicago is the fourth most important business center in the world, and is # 1 in America for the wholesale distribution of goods. Chicago features the Board of Trade, the world’s oldest and largest futures and options exchange; the Chicago Stock Exchange, the largest volume securities exchange in America outside New York; the Mercantile Exchange, the world’s largest commodities exchange. Chicago has the world’s busiest airport; the 3rd largest seaport in the world; and 1/3 of the U.S. railways pass through its boundaries. 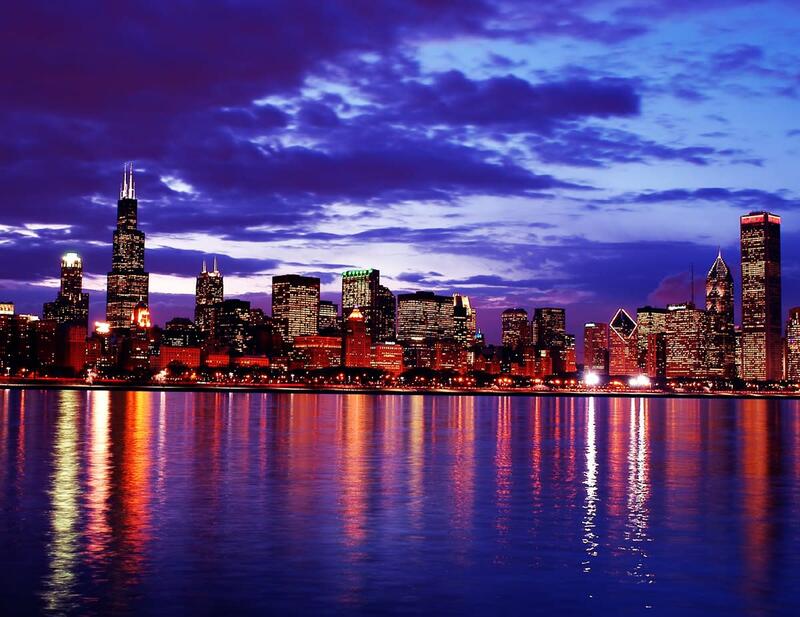 The Chicago Metropolitan Area is home to 9.6 million souls. 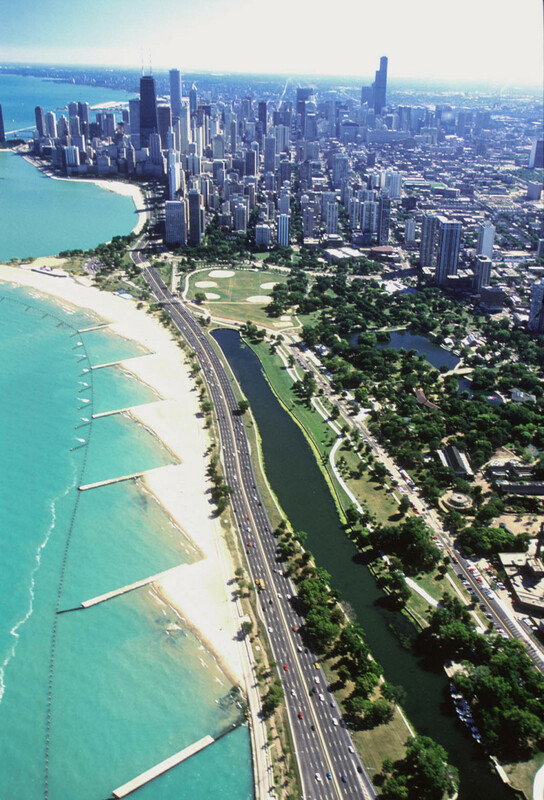 Chicago boasts 26 miles of impeccably maintained lakefront; 31 beaches; 35 museums; 131 forest preserves; over 500 parks; and is also home to 50 colleges and universities. 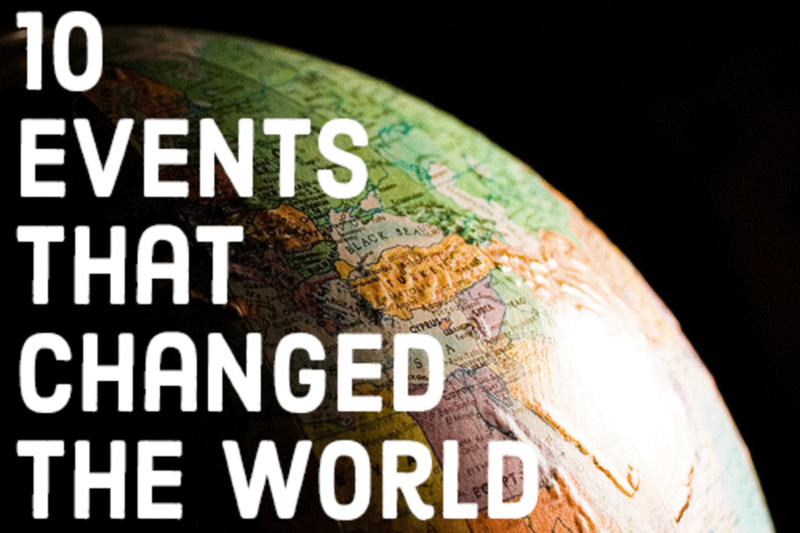 Chicago has been so influential in world affairs that there are “Chicago Schools” of not only Architecture, but also of Economics, Writers, Painters, City Planners, Sociologists, and Economics. 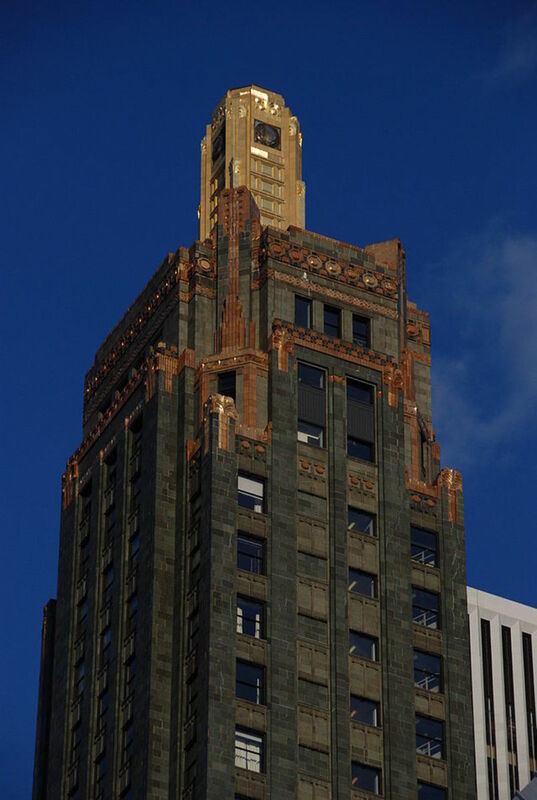 Famous Chicagoans of the past who contributed greatly to the progress of the city include inventor and captain of industry Cyrus Hall McCormick; meatpacking tycoon Philip Armour; entrepreneur Marshall Field; inventor and businessman George Pullman; architect Louis Sullivan; and the writer Carl Sandburg. When I was a young man I had four places I loved to visit in Chicago. I grew up straight across Lake Michigan in Benton Harbor, MI. My favorite place was Wrigley Field, as I was and am an ardent fan of the Chicago Cubs. The Museum of Science and Industry is one of two places still utilizing a building from the Chicago World’s Fair (the other being the Field Museum). The museum’s 2,000 exhibits include spacecraft, military aircraft, a Boeing 727 airliner, a captured German submarine, and a coalmine. 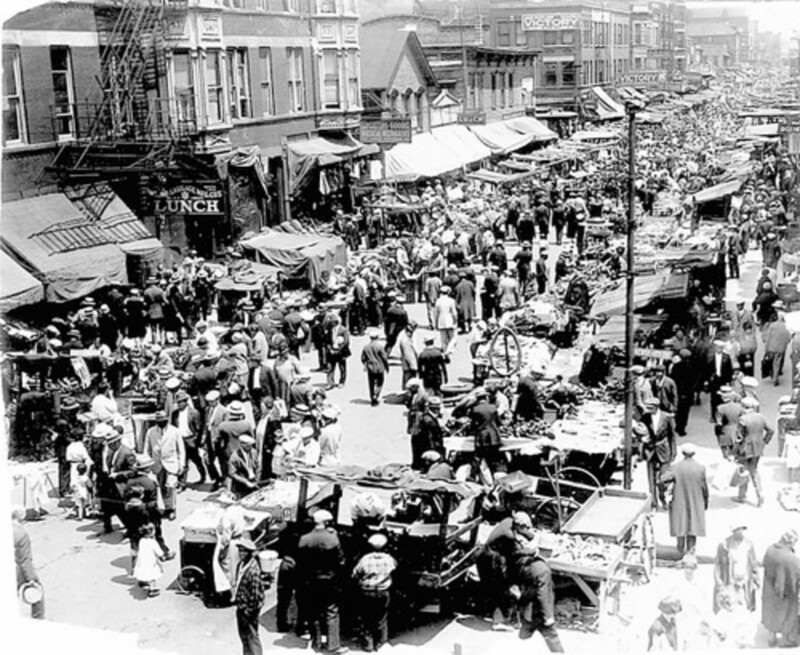 Maxwell Street was a huge open-air market where you could buy a Rolex for ten dollars---and the birthplace of Chicago Blues. Black musicians brought the Delta Blues with them in the Great Migration of the 1930s & 1940s. In Chicago it was amplified and played outdoors---on Maxwell Street. This market was the forerunner of today’s flea markets. You could buy nearly anything from around the world, some of it illegal, much of it stolen---but the authorities looked the other way. Old Town was the enclave of the hippie culture. I remember it as a magical place. It was filled with music, beads, incense, pop art posters, black lights, head shops, and yes, hippies galore. It was Chicago’s version of Haight-Ashbury in San Francisco. Chicago is a city of neighborhoods. I have driven on Lake Shore Drive many times, and I have always been puzzled by something I see out in the lake. I have asked numerous people, both Chicagoans and visitors, and no one has ever been able to tell me what it is. Today, I researched it myself and have finally found the answer: Water Cribs, 2 miles off-shore where the fresh drinking water is inducted from Lake Michigan. 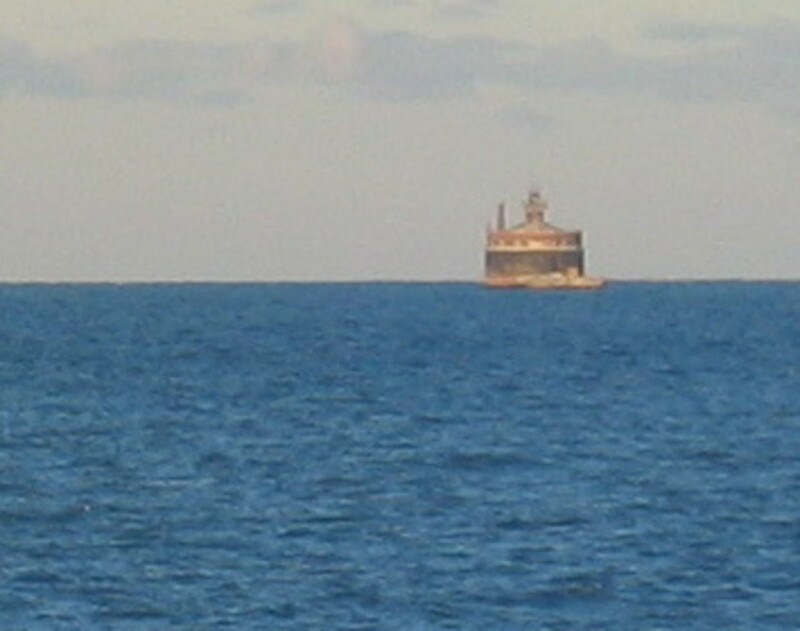 IT IS A FRESH WATER CRIB 2 MILES OUT IN LAKE MICHIGAN! jadoulpb et jujulpb ~ Thank you for reading my work. Ronald Tucker ~ Thank you very much for taking the time to read my article. I appreciate your kind compliments on my hub. It is quite a town, alright. Excellent "hub" about the magnificent Chicago. In 1969 I stayed at the Holiday Inn on Lakeshore Drive with my cousin Ray. Very fond memories of this exciting city. The city of midwest commerce is my description of the "Windy City." Early pioneers like Jean Baptiste Point du Sable (1750's to Oprah Winfrey media mogul (2000's to present are my most notable, along with former President Obama and First Lady Michelle. Paul Solomon ~ I am afraid I do not have the answer to your question. Thank you very much for reading my article. scottworthey ~ I appreciate your keen insights. Thank you for reading my article. Clayton Hartford ~ Thank you very much for your kind compliments. And yes, it is indeed the water intake crib. Blogger at Best ~ I am glad to hear from you and happy to read your fine comments. Thank you for taking the time to read my article. Chicago has a rich deep history. Thanks for posting this. Just as important as the past, we should always look forward with the intention of enriching this city and keeping its streets as clean as possible. Keep in mind the sewers as you walk the streets of this beautiful city. They are still beneath you. I grew up in the Suburbs of Chicago and loved the hub, great memories. You posted a picture of a structure in the lake, it could be the water intake for the city's water supply. VocalCoach— What a pleasure it is to hear from you again. You cannot know how much I appreciate you sharing my article on Google+1, Twitter, Pinterest, and especially FaceBook. That is one of the nicest things anyone has ever done for me. I am glad you think so highly of this article. Thank you very much for your blessings and encouragement. God Bless You! Hi James - I was chatting with someone on FB yesterday who wanted some background on Chicago. So, I'm sharing your hub by posting it on my FB timeline with a direct link back here. And as long as I'm sharing I will post on Twtr, Pinterest, HP followers and google+1. I've enjoyed reading this again and found some highlites I missed last time I read through this fantastic hub. Peace and blessing to you James. I appreciate the visitation and you are most welcome. I look forward to reading some of your writings, which I will tend to soon. Welcome to the HubPages Community! James, I love your hub. I lived and worked in Chicago and, if we did not have the cold and snow I would still be living there. Mostly I miss the food, like Italian Beef. They don't have it here, and the Chinese do not know how to make fried rice. CriticalMessage— Welcome to HubPages! I am well pleased to meet a man who shares my love for the great city of Chicago. By reading your comments below I must conclude that you are right: you ARE a great tour guide to the city. I agree with you that San Diego is a magnificent place. 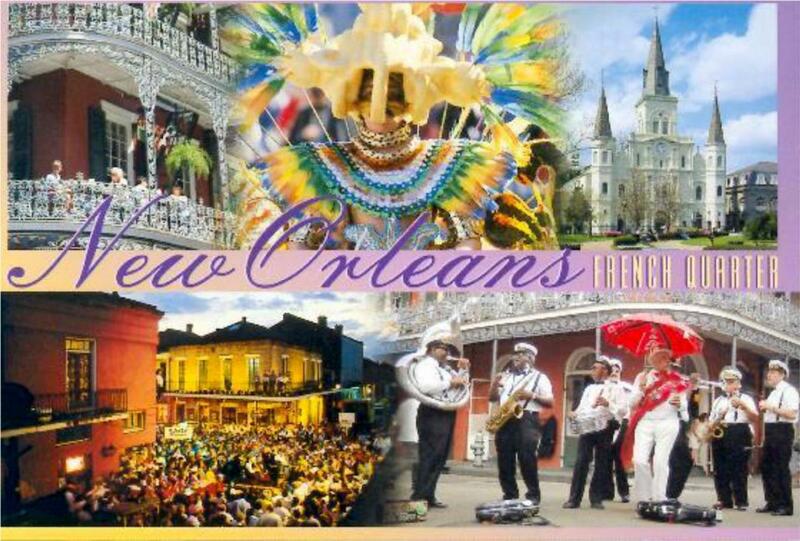 And there is no place like New Orleans. I have spent a lot of time in Ft Lauderdale. Very Cool—Las Olas, et al. I have not been to San Francisco. I also agree with you that only New York can compare with Chi-town. Paris, London, Rome, Florence, Venice, and Los Angeles are marvelous cities as well. I know and love this city so much that I have to believe that I could be one of its greatest tour guides ever. I know all the neighborhood and their specific attractions. I know of all the festivals that are a joyous riot to participate in. North Avenue Beach is maybe the best kept secret in the world for those who are into that kind of thing. The contrast of Skyscapers on top of the perfect sand at Oak St. Beach always makes me smile. All cities have their diversity. Chicago no different. Other than how well we all seem to get along even if when we live in our own specifically segregated neighborhoods for the most part. I can go on and on about the people from Chicago as a whole. My opinion a bit biased. Yet none the less, it is an opinion developed after plenty of exposure to all the other major great cities in this country that I have had the chance gain a thourough knowledge of through long term exposure to them. Yes, I get to know the other cities inside and out as best as I can for a duration that allows me to know them before I present them for comparison to Chicago. San Diego (La Jolla, the Lamplight District, Coronado, Imperial) is a city that comes close. Yet the power and the passion found in Chicago, which can only be compete with New York, is something that just gets under your skin and can't get out. The adrenaline, the humor, the attitudes to welcoming and warming that I have to believe it is like heroin as it has been described to me as being like. Tams R— I love the look of Port Washington! I wrote about that in my Hub "Lake Michigan Circle Tour." I only drove through but it is an impressive and beautiful city. I guess Chicago style pizza is deep dish. I love pizza but I prefer thin crust. Is that New York style? I don't know. Chicago is also very beautiful. I am glad you enjoyed my article. Thank you for the compliments. Welcome to Hub Pages! 2 years ago on my way to Port Washington, Wisconsin we stopped in Chicago for a view of Lake Michigan. There was so much to take in, but a beautiful view. We headed over to Geno's and had real Chicago style pizza and wrote our names on the tables. The traffic was, ahem, ridiculous. I want to go back someday, but I believe I will hire a cab. 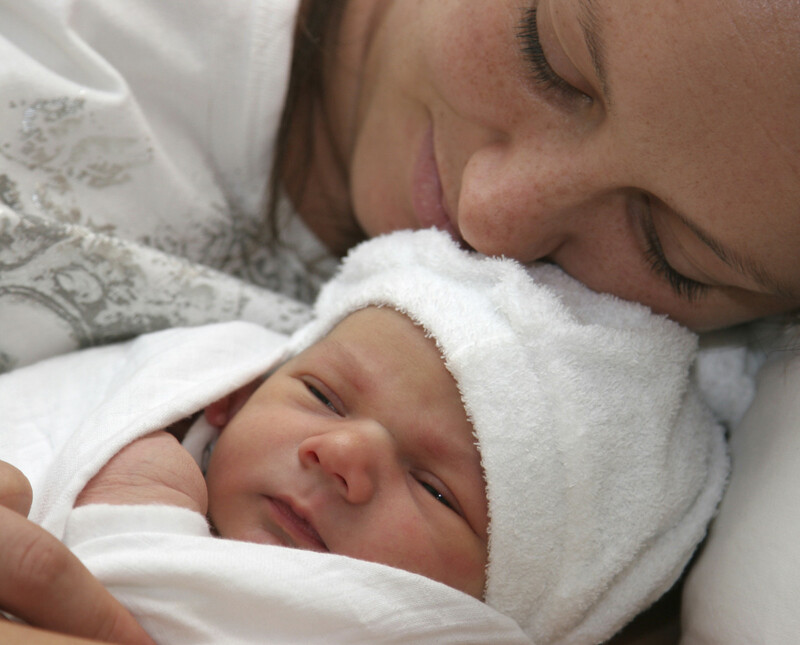 SimpleGiftsofLove— I did not know Chicago was your hometown! I am glad you enjoyed this Hub then. I appreciate the voted up, beautiful and interesting; as well as your kind compliments. I am well pleased to make your acquaintance and I look forward to reading some of your writings. A great hub, on my hometown! Great pictures, and you visited some great memories, Navy Pier, the River, the stockyards, etc. Love it! Up, beautiful and interesting, glad I found you on HP, I can see I have much to learn from your great writing! vocalcoach— Sorry for not responding sooner. I was sans computer for several days. Thank you for pushing all the buttons on this one; and you are most welcome. Chicago is well worth a visit. I look forward to reading your Hub about Kauai. I'll look for it. I sure appreciate your warm words and encouragement. See you soon! Oh, yeah - pushed all the buttons on this one and if there were more, I'd push them as well! Anne Nowlin— I love Chicago too! Especially Wrigley Field and My Cubbies. James, A 26 year ex-Chicago resident and one who LOVES, simply loves Chicago,; you fif such s great job covering a pretty tough subject in as short a space as you did! There's so much history and culture and ethnic diversity that you captured in your Hub; without the reader not understanding. Vote you up, up, up and away!! Santi Lio— Thank you very much for taking the time to read my humble Hub, Santi. I appreciate your gracious comments. Welcome to the Hub Pages Community. I look forward to reading your work soon. I live in Chicago, and the P.S. System doesn't even offer as comprehensive a review of our city as your hub. Excellent, job. I am wiser for having stumbled across your hubs. LaurieDawn— Greetings! Welcome to the Hub Pages Community! The Chicago sky line is par excellence. Thank you for coming by to visit with me, Laurie. I appreciate your comments. And you are most welcome. I enjoyed reading about Chicago. I grew up close to Chicago, and travelled a lot during my adult years, but every time I came "home", my biggest thrill was seeing The Chicago Sky Line. And I think it always will be. Thanks for sharing Chicago History with us. Jimmy Fuentes— You're welcome, my friend. I enjoyed putting this Hub together. I am glad you like it. Thank you for the visit and the compliments. Hey James, another great hub as usual. I lived about 50 miles south of Chicago in Bourbonnais for a year and I didn't know really any of what you had in your hub; thanks for the history, insight and education. mysterylady 89— I did, teacher. You are good at what you do. I am so glad you liked the poem! mysteryady 89— That poem is awesome. Oh how I wish I could write like that. Thank you for sharing that with us. I had to share with you one of my favorite poems. It is by Carl Sandburg. stars439— It is that, brother. I'm glad you liked the pics. Thank you for coming to see me and leaving your gracious words. Quite a magnificenr city. Great hub. Beautiful photography. God Bless You. ceholmes— I certainly agree with you! I love Chicago. Thank you very much for your comments. I appreciate the visit. Kay Creates— It is a great town! Thank you for coming by to visit. I appreciate your comments. Welcome to the Hub Pages Community! I really enjoyed learning more about the history of Chicago. I spent a few days there last year and had a great time. I hope to visit again. vox vocis— Thank you for that! Chicago is a great city. Which shot are you looking for? I appreciate the "following." I am going to "follow" you as well. Thank you for coming and commenting. Rated up and bookmarked! I've never visited Chicago but I sure would love to one day. My interest for Chicago started while watching the ''Prison break'' TV serial. They showed the most beautiful parts of this city, and later I looked for all the photos of Chicago I could find on the net. Your history layout is great, very informative and the pictures are very nice. I am still looking for the one I might paint on canvas, though. There is one in your hub I especially like but I need a clearer shot! This hub has just won a new follower for you! Springboard— Oh man! You've got to go, brother. Chicago is awesome! Thanks for visiting. Practically right down the street from me and yet I have never been to the heart of Chicago. Driven through it, but never have been in it. I'm going to have to change that very, very soon. pastella13--- Compared to the great cities of the world, Chicago is just a baby. A big baby. Thank you so much for the accolades. I appreciate you. This is a fantastic hub. I never realised Chicago was such a "new" city. You really write superb hubs about such a wide range of subjects, and you research things so thoroughly. It's always a pleasure to read them. Heavensgates--- Your hometown!? Great! I love Chicago, too. 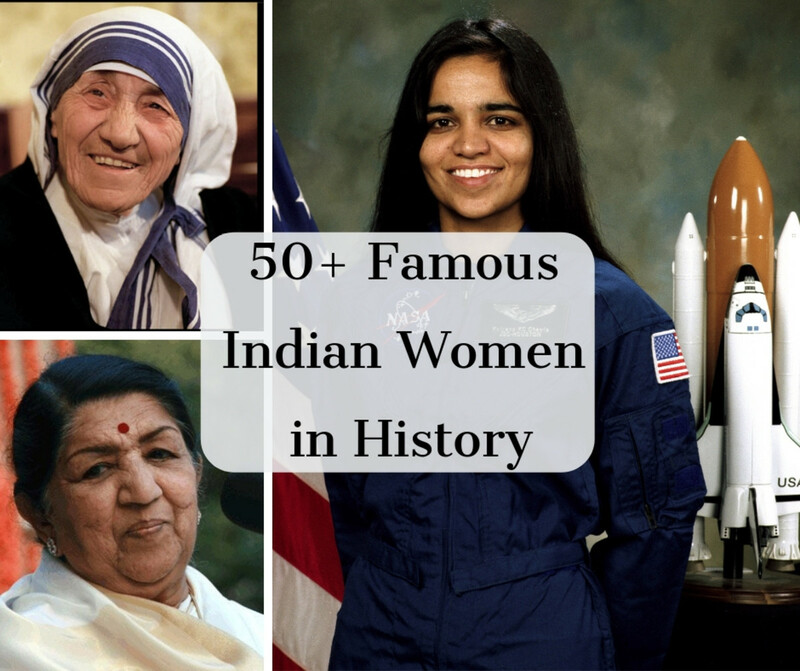 It was a pleasure to research and write this piece. I'm glad you appreciated it and thanks for the compliment. Wow James, that's my hometown, that's where I was born, I love Chicago! I appreciate this hub a lot. Great work!!! Jersey Jess--- Thank you! I so appreciate you taking the time to come by and read my Hub. Thanks for letting me know that you enjoyed it. Wonderful hub, I love it! A very close friend of mine lives in Chicago, very good read! Harvey Stelman--- Thank you, my friend. This is your town, right? I'm coming over to see what you've been writing very soon. It's great to hear from you. I hope things are OK for you. shiketa--- I love it, too. I am glad you came to visit. I'll be over to see what you've been writing soon. I love Chicago and I am so glad to follow your Hub! dara--- My parents both came from the south when they were about the same age as your dad. My father was from Tennessee and my mother from Missouri. I have been to Upper Michigan once, briefly. The lower peninsula I have covered pretty good from one end to the end. Hi James, you know nearly 30% of my bookmarks point to your hubs. That's why you don't see too many remarks from me. At least not until I have read them all thoroughly. You really do a great job with every single article of yours. Thanks a million! Cheers! I do not know Chicago at all even though I grew up across the Great Lake of Mi. Michigan is a huge state and I only know a small part of it...basically the Southwestern corner. My father arrived in Mi.around 8 years old from the South and still lives in my hometown. There is Upper Michigan where deer, turkey and lots of insects live and I have never been there. What about you? Arthur--- Is this Arthur from Tejas? It's great to hear from you my friend. I hope all is well for you. Thanks for writing in. askjanbrass--- I am well pleased that you found the article to be informative and enjoyed the history. I grew up 50 miles across the lake from Chicago in Michigan and so have always loved the city. adrienne2--- Thank you! If you live in Chicago and you liked it it must be OK. I appreciate you letting me know. Duchess OBlunt--- You are quite welcome, dear. Anytime. What great article on Chitown,brother james! I actually love the city and don't know if all your hubbers know that you and I both grew up 120 miles around Lake Michigan. Every time I mention the fact that I've never been to Chicago, my friends and family are always stunned. Now, it's on the top of my list of places to visit next. 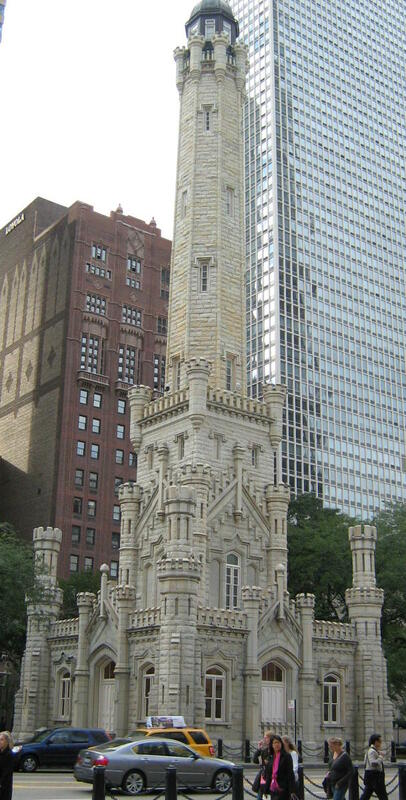 Reading this post was very informative, I quite enjoyed reading about Chicago's history. Where does your interest in Chicago come from? Great hub James! I have lived in Chicago pretty much my whole life. The pics were incredible as well. Thanks for the tips James. febriedethan--- Thank you! Al Capone was a real character. I could write a whole Hub just about him and his exploits. You are welcome, dear. I appreciate this visit from you. festersporling1--- Me, too. I have been to a lot of Cubs games and out to Wrigleyville numerous occasions myself. Great fun. Thank you for visiting my Hub and leaving your comments. Welcome to HubPages! abcd1111--- I saw that you lived in the Chicago area. Welcome to HubPages. Thank you for adding that valuable information about the war hero Edward O'Hare. And I should have written about "Second City." That is an important part of the Chicago story that should have been included. A lot of famous folks have come out of there. Wow..really excellent hub, I know many things about Chicago now, thank's to you, before this I only know the Al Capone and the Harpo studio haha, thank you for sharing James. Love Chicago. Had some wine in the park where they bean is. Went to a Cubbie game at Wrigley field and then went out in Wrigleyville afterward. Great city. Chicago also has several wonderful vegan restaurants! I'll forgive you for being a Cubbie instead of a Sox fan because you wrote such a nice article about one of the greatest cities in the world. Part of Old Town includes the improv club "Second City." Duly named because that is a nickname for Chicago. I used to be a flight attendant based out of O'Hare International Airport and I NEVER tired of seeing the skyline as we approached from the lake. BTW, the designated letters for O'Hare are ORD, which stood for a military airport, Orchard Field, back before it became O'Hare. The name O'Hare honors Lieutenant Edward O'Hare, a military hero who was awarded the Congressional Medal of Honor in 1942. Nicks--- Thank you. Thank you very much. I appreciate these accolades especially coming from such an accomplished author as yourself. GojiJuiceGoodness--- Welcome to the Hub Pages Community! Thank you for reading my article. You are right! He is from Virginia. After he moved to Chicago he became famous and contributed mightily to the development of Chicago as a world class city. Thanks for adding that important information. gracenotes--- What a pleasure to hear from you. I'm glad you liked the pictures and found the article interesting. I like bright colors! Chicago is a great big town that is loads of fun. I hope you get to visit again. Thank you for coming and commenting. James - a really excellent article (Hub would be doing it an injustice). I was particularly struck by the demographics of Chicago and the enormous immigrant populations that settled over the years. It is a quite remarkable facet of the US that, I think, us Europeans do not always appreciate. Fascinating and required reading. Harvey Stelman--- During my research I did come across information about the Jewish neighborhoods and such. Also, the Greeks and Chinese were written about quite a bit. The numbers were not huge and/or the concentration in particular neighborhoods didn't seem to last long, so in the end I didn't use that material. The Jewish influence in Chicago has certainly been big and positive. And you are right: they were particularly prominent on Maxwell Street. Thanks for adding this fine information. It's great to hear from you, my friend from Chicago. Abe Normal--- Well put! Thank you for that. I very much enjoyed your list. Sounds right to me. Tony--- I have always wanted to live in Chicago. Maybe I will someday. Thanks for coming by. Truth From Truth--- You are welcome. Thank you for visiting and commenting. I would like to write about Detroit, or maybe Michigan. I hope your days go well. CYRUS HALL MCCORMICK?! A famous Chicagoian?! He's from Virginia (just north of where I live). I have never visited his farm, but have seen it as well as the signs posted along the interstate... Why does Chicago claim him as theirs? As usual, you have great pictures. My, what an interesting history you have written about here. I was only in Chicago once, and got to walk around downtown. I walked all the way to the AMA (American Medical Association) building, 515 N. State Street. It was in mid-May, and I probably looked foolish wearing my nice professional outfit in a bright color. Almost all of the business women I saw were wearing black, gray, and beige. Well, it's too bad that I was there for a professional conference and didn't have time to do fun stuff. Sometime I need to return and see more. I moved to the Chicago area in 1973 and will never leave. Coming from the Bronx, N.Y. I found Chicago to be a smaller, friendlier and more people oriented city. "The City that works" has had a wonderful past, you have taught me a couple of things. I love that even Chicagoans don't know why they call it the "windy city." I wonder why you didn't include the Jewish population, and how much it is responsile for. You mentioned, Maxwell Street. Most businesses there were owned by Jews. The article remains a hit with me anyway. Chicago is really, currently well-known for its "Magnificent Mile", the Loop (also an FM radio station), The Cubs, Bears, Black Hawks, the Mayor Richard Daleys, State Street, Michigan Avenue, Marshal Fields, Sears Tower, Hancock Building, Oak Street Beach, Field Museum, Museum of Science & Industry, The Aquarium, Adler Planetarium, Taste of Chicago, Navy Pier, Water Tower Place, Kennedy, Eisenhower and Dan Ryan Expressways, and a ban on WalMart construction. What a wonderful Hub James. So many diverse images accompanied with great words as always. Thanks James, I love Chicago myself. I have not been there in a while, I appreciate the walk through time. I will have to go again soon. I agree that a hub on Detroit would be very sad. Enjoy your weekend. drpastorcarlotta--- What a pleasure to see you again! Thanks for your gracious words. I appreciate you! God Bless You! yenajeon--- Thank you so much for your lovely compliments. I prefer the thin crust pizza myself. I plan to come and read some of your Hubs soon! As always a very informational HUB!!!! GREAT! Blessings!!! I have missed you! Duchess OBlunt--- I am no expert on Chicago night life but I have always been under the impression that Morton's is the best place to eat and Second City the best place for comedy. I have enjoyed eating at Harry Carey's a few times. drbj--- I haven't eaten on Rush Street but I have partied on Rush Street and played music near there. It is nice to hear from someone born in Chicago and who had salad days there. Thanks for reading my article and leaving your comments.